Pastor, do you need help with the exposition of a verse list for an upcoming sermon? Bible teacher, do you need assistance with the exegesis of your verse list for a future Bible conference or seminar? Church person, do you need support with a personal Bible study or “hard to understand” verses? The possibilities are endless! We can help! The New Testament Greek Virtual Assistant has twenty five years’ experience in the New Testament Greek. The Virtual Assistant will help you with commentary support for your verse list, word studies, word searches, Strong’s number word searches, grammar and syntax searches, and grammar parsing. Vincent’s Word Studies in the New Testament. How Does The NT Greek Virtual Assistant Work? You telephone “The Assistant” at 305.299.0633. We discuss what your job entails and the best way to get it done. Our rates are $15.00 per hour. We do not charge for lunch or breaks of any kind. Our days and hours are flexible to meet your immediate needs. Now with white board teaching. 2. The seminar is combined with three outstanding free Bible programs which you will download on your desktop and learn to use with your knowledge of the NT Greek. 6. Learn to use the Verb TVM (Tense, Voice and Mood) Coded System on the Online Bible and the Interlinear Scripture Analyzer. 7. Learn to use the Noun CNG (Case, Number and Gender) Coded System on the Online Bible and the Interlinear Scripture Analyzer. 8. Learn to use the Online Strong’s Concordance, the second most important book in the world. 9. Learn to use the massive library of free downloadable modules which Biblesupport.com integrates to the E Sword Program. This seminar is most effective with a computer that you bring to the seminar. THE BIBLE PROGRAMS ARE ALL WINDOWS BASED. THERE IS MAC SUPPORT ON THEIR WEB SITES! “The New Testament Greek Virtual Assistant” site is under construction, but this is what we are looking at very soon. Pastor, do you need assistance with the exposition of a scripture verse list for your next sermon? Bible teacher, do you need help with the exegesis of your scripture verse list for an upcoming Bible conference or seminar? Church person, do you want help with your personal Bible study or “hard to understand” verses? The New Testament Greek Virtual Assistant has twenty five years’ experience of studying and teaching in the New Testament Greek. The New Testament Greek Virtual Assistant can assist you with commentary support for your verse list, Greek word studies, word searches, Strong’s number word searches, grammar and syntax searches, and grammar parsing. We discuss what your job involves and the most effective way to get it done. You email us the list of verses that you want the exegeses for. Our rates are $20.00 per hour. We do not charge for lunch or breaks of any kind. The charge is for one hour of exegetical work and the returned work will demonstrate it. The minimum charge is one hour. Incremental charges are incurred on a per quarter hour basis. All payments are pre-paid on our web site using Pay Pal. After discussing your needs we estimate the amount of work and what you can prepay. If you plan to use the Greek virtual assistant repeatedly you may consider pre paying for one, two, five, or ten hours. We subtract the work done from your running balance, so that you only pay once. The completed work is emailed back to you. We know that you will be happy with the results. If something is missing from the finalized work we will further discuss it with you. That’s it! We look forward to helping you through The NT Greek Virtual Assistant. The truth will not set us free if we believe it in error. We are set free through revelation knowledge. 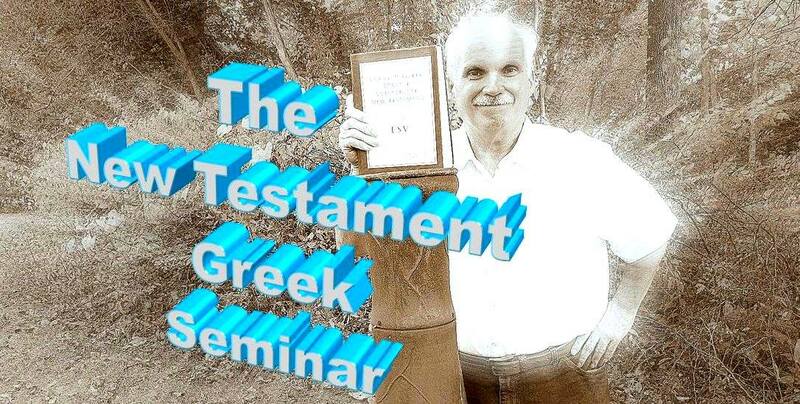 The seminar is combined with three outstanding free Bible programs which you will download on your desktop and learn to use with your knowledge of the NT Greek. Learn to use the Verb TVM (Tense, Voice and Mood) Coded System on the Online Bible and the Interlinear Scripture Analyzer. Learn to use the Noun CNG (Case, Number and Gender) Coded System on the Online Bible and the Interlinear Scripture Analyzer. 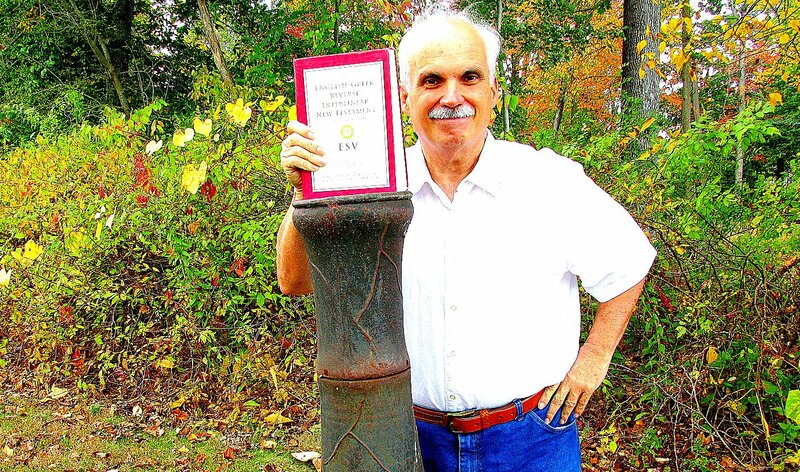 Learn to use the Online Strong’s Concordance, the second most important book in the world. Learn to use the massive library of free downloadable modules which Biblesupport.com integrates to the E Sword Program.